Beautiful white kitchen cabinets, here is an spectacular kitchen design. We can help you achieve this look. With a highly qualified crew and the best products on the market. 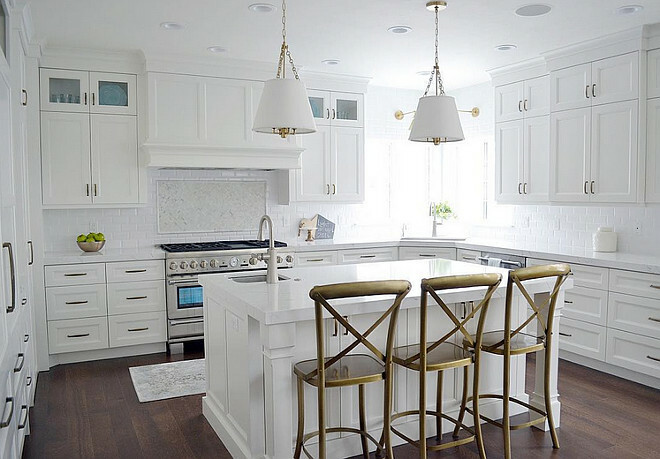 Here we have white cabinets, dark wood floors, gold metal chairs and tile backsplash, makes for one amazing kitchen design.